How much lighting is good lighting for a room? Good lighting enhances the beauty of a room. Some people take good care of lighting while furnishing a room and some just put a tube-light or a bulb here and there to just light up a room. But have you ever thought how much lighting is good lighting for a room? Have you ever analyzed if you have less light or more light in a room, or are you wasting electricity by putting extra lights? 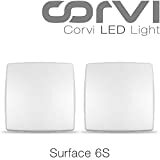 With this article we just want to provide some guidelines to setting up lighting in room, so that you do not waste electricity but light up your room appropriately as per the needs. 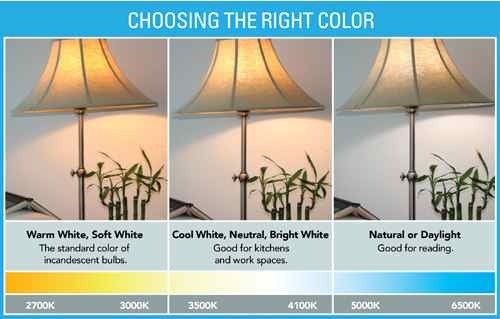 The above numbers give us a good representation of how different kinds of lights/bulbs compare with each other. How much light is required for your room? So if you have a room that is 10 ft x 10 ft (which is 9.29 m2) and you want to do easy office work in the room, then the amount of light required in the room is 250 x 9.29 which is about 2400 lumens. 1 single tube light or about 2 75-80 Watt bulbs can achieve this. If you have a small area of a square meter and you use it for pc work, then a 12-watt CFL is good for it. Task based lighting can be done in a room accordingly. When do you waste electricity? More lights are put in a room than desired. Lights are hidden on concealed. Many a times this is done with false ceilings to decorate the room. At times there is some obstruction for the lights and extra lights have to be put to accommodate for the less light. If you want to save electricity, make sure that any of the above is not happening. Does brightness of bulb remain same through out its life? The range above is for an average quality bulb to a good quality bulb. What is color temperature and how does that impact room lighting? 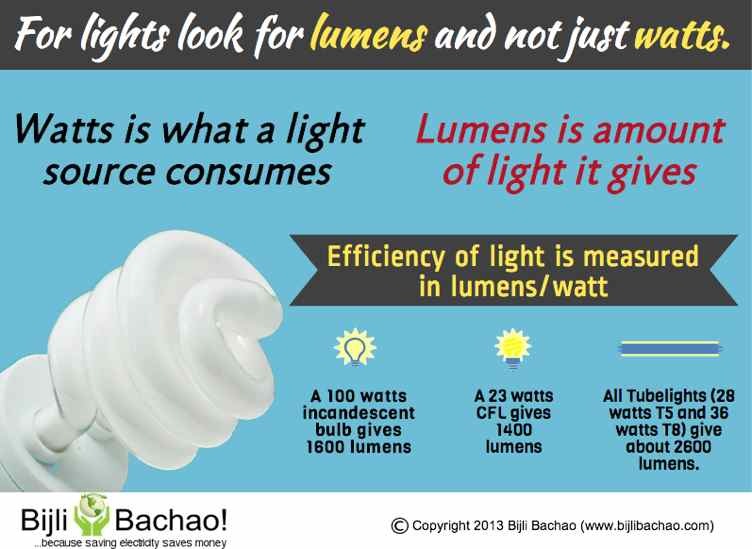 So if electricity saving is a priority for you, next time when you are buying a bulb or a tube-light don’t just consider saving watts, but also consider saving lumens.